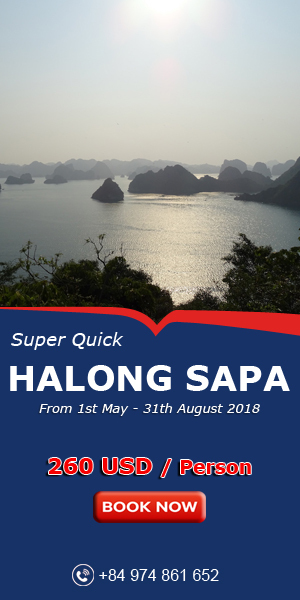 Ha Giang – the very Northern tip of Vietnam where Lung Cu flag tower proudly standing and rugged mountains rolling endlessly, is now an attractive destination for those who love discovering a wild beauty of nature. 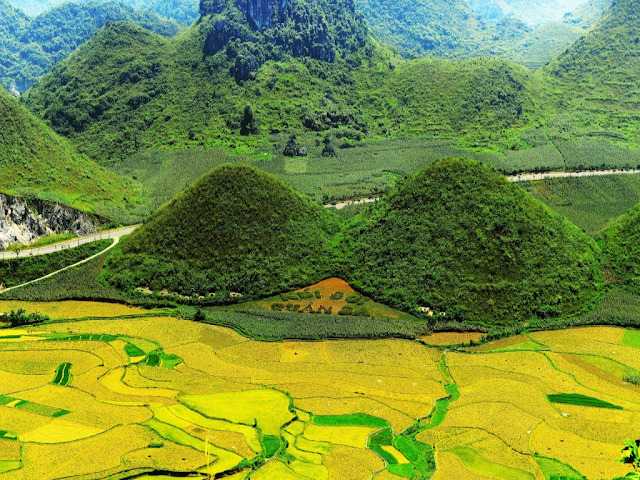 If you have a chance to visit Quan Ba village, do not ignore the stunning double mountain here which has been ranked as a national monument in 2010. 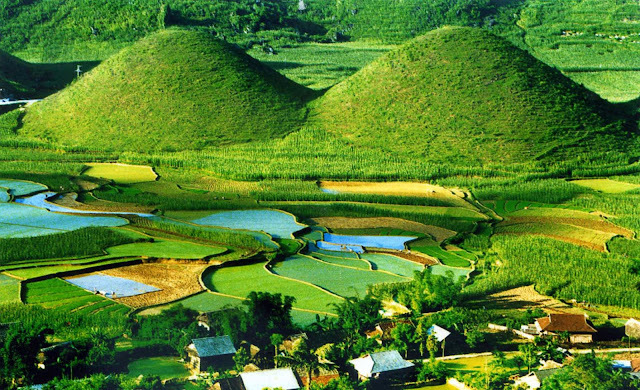 The two mountains shaped similar to a woman’s breasts surrounded by terraced fields in Quan Ba. 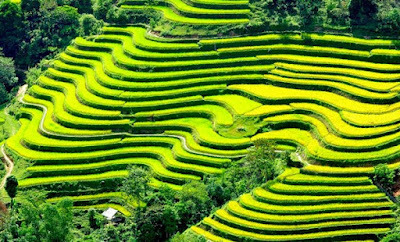 A typical feature of terraced rice fields are they change their colors in different periods of harvesting: green for the first period then turn yellow for the harvest and finally brown for the post-harvesting period since local farmers have to plough for a new crop, as a result if you visit Double Mountain in different times of the year, you will discover different beauties of the landscape. For centuries, Double Mountain is so beautiful and attractive. It is worshiped and protected local people. Additionally, the legendary story about Fairy Mountain ingrained in their subconsciousness. The story goes that, in mountainous Quan Ba, there is a Hmong boy. He is handsome and good at playing “đàn môi” (lip lute). There is a fairy named Hoa Dao who is incredibly beautiful and overhears his lip lute sound. She flees from the heaven to find him and falls in love with him. She finds ways to stay on the earth. The marriage between a man and a fairy happens. They become a husband and a wife. Next, she gives birth to a boy. When the Jade Emperor knows that Hoa Dao flies down to the earth to marry, he is so angry that he sends his staffs to catch her. Loving her husband and her newborn child, she leaves her double breasts on the earth. The double breasts help her child grow and later turns into two mountains which look like two breasts. Two mountains are called Double Mountain or Co Tien Double Mountain. 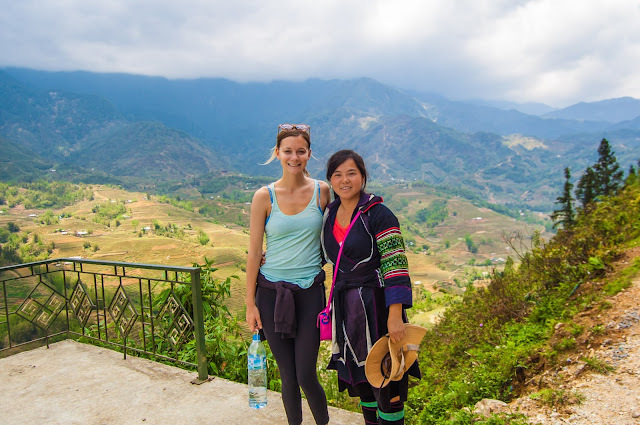 According to a legend, thanks to her breast milk, the area has a cool climate and incredibly delicious fruits such as peaches, plums, pears, and persimmons, green vegetables, and huge corn seeds. Her tears mourning her husband and child turn into Mien River surrounding rugged mountains. The charm of the mountain with the values of geological and wonderful natural conditions makes the Ministry of Culture, Sports and Tourism of Vietnam recognized Nui Doi as a national scenic in 2010. 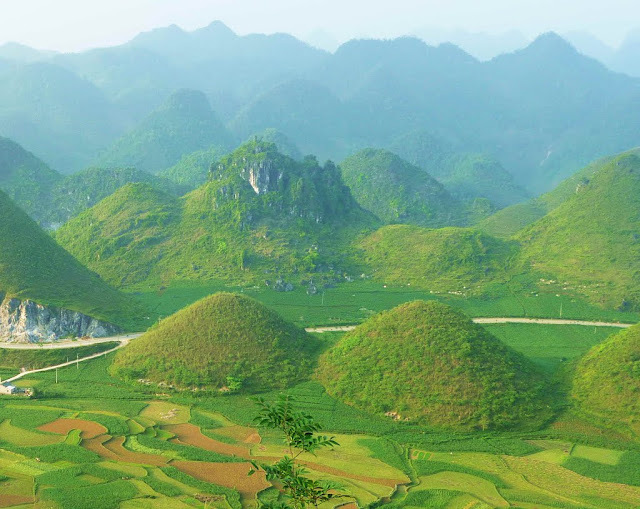 Along with Dong Van Karst Plateau Global Geopark, Double Mountain becomes an icon and an attractive destination and plays an importance of this unique land. 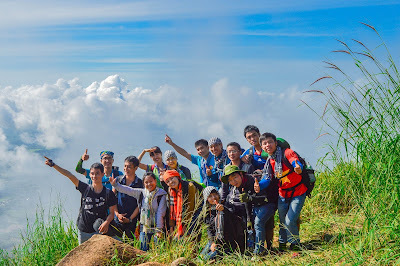 With a peculiar shape, attached to a legend story, Nui Doi Quan Ba ( Quan Ba Double Mountain) which locals often call Fairy Mountain, has become one of the most important destination in the journey to Dong Van Plateau, fascinating for professional photographers. 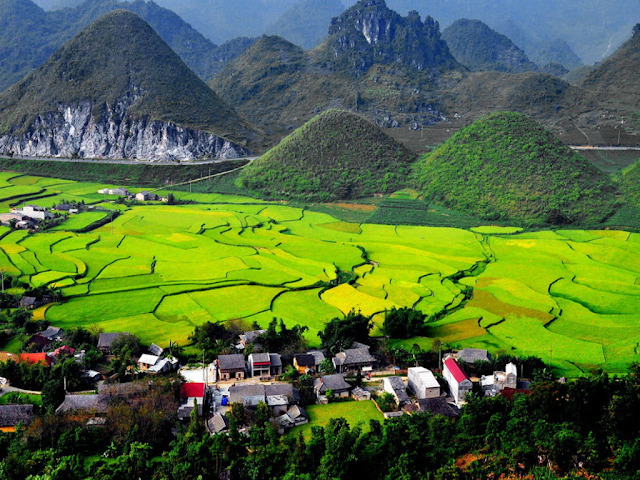 The best time to admire the wonderful scenery of the mountain is in spring or in summer, at which the grass and shrubs are green or rice is ripe on the terraced fields of Tam Son. If you have a chance to visit Ha Giang, you do not miss Nui Doi to discover the charming beauty.